There's terrible news for Apple users in China. Apple's Chinese data center partner has transferred iCloud data, belonging to 130 million China-based users, to a cloud storage service managed by a state-owned mobile telecom provider—raising concerns about privacy. 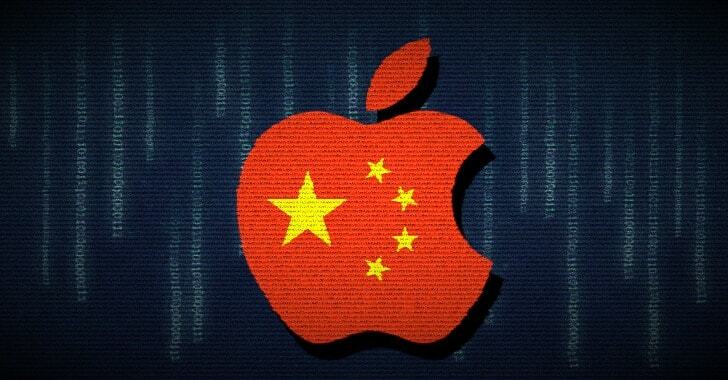 Back in February this year, Apple moved the encryption keys and data of its Chinese iCloud users from its US servers to local servers on Chinese soil to comply with the new regulation of the Chinese government, despite concerns from human rights activists. For this Apple controversially signed a deal with Guizhou-Cloud Big Data (GCBD), a Chinese company who gained operation control over Apple's iCloud business in China earlier this year. Now, that sensitive data, which includes users’ emails, text messages, pictures, and the encryption keys that protect it, has been passed on to Tianyi cloud storage service, a business venture managed by government-owned mobile operator China Telecom. In case you are unaware, China already has a law called National Security Law that gives police the authority to demand companies help them bypass encryption or other security tools to access personal data. The move, which undoubtedly involves approval from Apple, now makes it easier for the Chinese government to access users’ iCloud data, raising significant privacy concern among users and human rights activists. To prevent their data to be stored in Chinese servers, Apple users in China can just select a different country while setting up their iCloud account. However, it is not clear if an existing user makes this change, then will his/her data be transferred to the US-based data centers, while deleting it from the Chinese servers. "China Telecom Tianyi Cloud [is] to provide cloud storage services for iCloud. Both parties officially signed the Infrastructure Agreement at the end of June," China Telecom Tianyi Cloud said in a post. 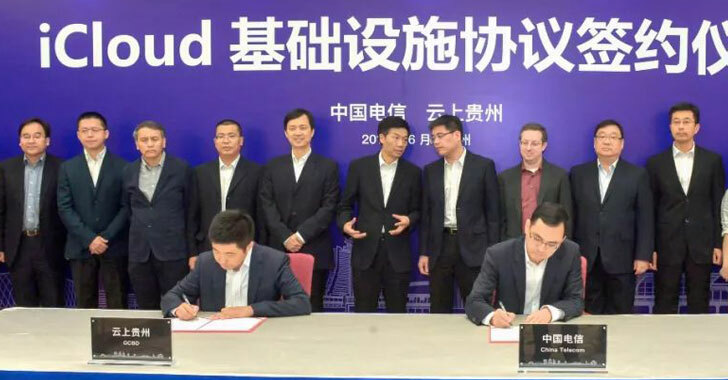 "As the world’s largest fixed network operator, FDD 4G network operator and the largest data center and cloud service provider in China, China Telecom will provide high-quality network and data center services." In 2017, China passed a cybersecurity law which requires "critical information infrastructure operators" to store its users' data within the nation's borders, likely forcing Apple to partner with the new Chinese data center. Apple has severely been implementing various aspects of Chinese laws in recent months for its regional operations in the most populated country. Last year, Apple controversially removed VPN apps from its official App Store in China to comply with Chinese cyberspace regulations, making it harder for internet users to bypass its Great Firewall.